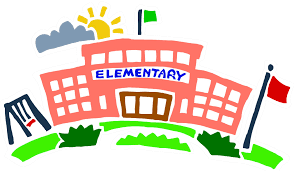 I would like to invite you to attend Prospective Elementary Night on Wednesday, January 25, from 6-8 pm. You will be in your prospective classroom with the LE and UE teachers. Give your child every opportunity to develop a life-long love of learning. Fostering these qualities is the goal of the Elementary Program at the Country Montessori School, where your child has the opportunity to reach his or her full potential. The curriculum ? for children ages 6 to 11 builds on the foundation of concrete information learned in the Early Childhood Program. Through hands-on activities that explore abstract concepts, your child learns more than facts. CMS students are motivated to discover the “how’s and why’s,” leading to true understanding and academic success. Time-tested Montessori principles help your child grow as an individual and as a member of society. The Elementary Program at Country Montessori offers your child the opportunity for intellectual and social growth at his or her natural pace. The curriculum is interdisciplinary ? subjects are studied as an integrated whole, not in isolation. Science, geography, social studies, the arts, languages, and math converge in studies guided by your child’s own questions. Often, something learned in one subject will help foster a new or deeper appreciation of another. In each classroom, a mix of age groups (up to a three-year differential) promotes your child’s individual and social development. The give-and-take of one child’s experience and another’s discovery is the key to growing as a person and finding one’s place in a community. 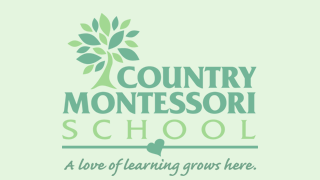 The Elementary Program at Country Montessori offers an exciting, research style of learning. The curriculum of the 6-9 and 9-11 year old students corresponds to what conventional schools teach in grades 1 through 5. Beyond the “3Rs,” it includes computer science, Spanish, music, art and art history, physical education, human history and culture, science, and the roots of language. Children from a variety of cultures and backgrounds all over the world have benefited from a Montessori education; your child will as well.